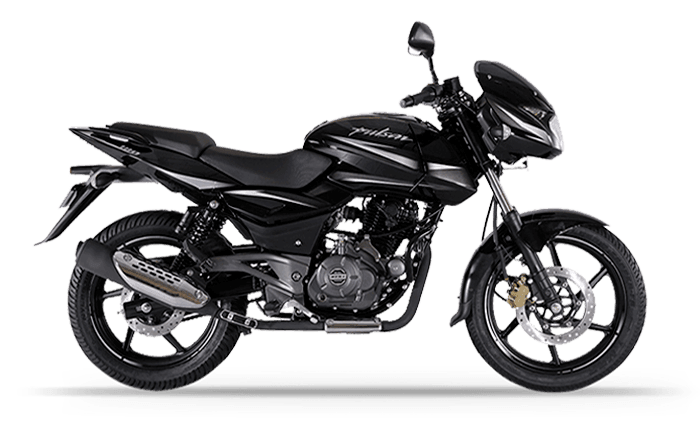 Bajaj Pulsar 180 is one of the ageing bikes in the Pulsar range, after 150. However, it comes with some modern features and will soon get ABS too. It still competes with the likes of TVS Apache RTR 180. Bajaj Pulsar series is a top choice for Indians seeking a little power and better looks over the commuter motorcycles. After Pulsar 150, the 180cc Pulsar is another infamous ageing bike. The biggest advantage of owning a Pulsar is that you get grunty but very frugal engines. They go very light on your pocket, in terms of fuel as well as maintenance. The latest version of 180 comes with modern fits and touches, new colour options, front and rear disc brakes, but with the same old digi-analogue instrument cluster. But what is the exact reason that keeps it still running in the business, despite many new and modern bikes available in the same range? Let’s check that out. It may be noted that the Pulsar 180 has always been the choice of many performance- hungry sub-200cc bike buyers. Thanks to its grunty engine and decent fuel mileage, the Pulsar 180 has always found a lot of young takers. Currently, the bike is in its 6th generation, it still looks bulky with a thrilling body. The bike is priced at Rs 83,347 (ex-showroom Delhi). As it is one of the most outdated models, it cannot rival anybody else in the 150cc or 200cc range. However, it still competes with the TVS Apache RTR 180, which is a little higher priced than this. The Pulsar 180 retailed for the first time for roughly Rs 76,000. 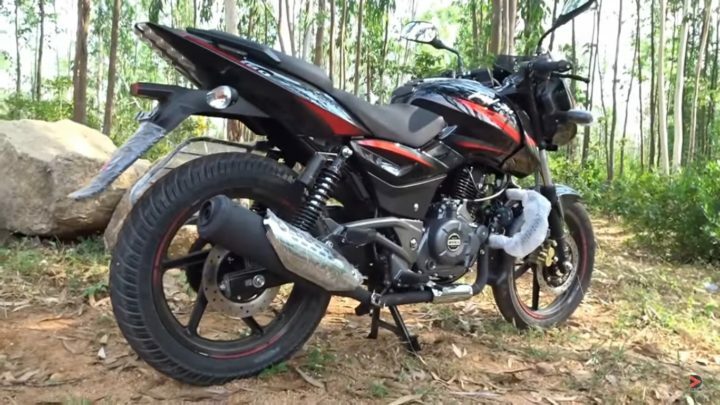 Thanks to updated styling and engine, the latest Bajaj Pulsar 180 price is higher and has been kept at Rs 84,115 (ex-showroom). Bajaj has always been known to price its bikes very competitively. There isn’t a huge change in the specifications. However, the 2017 model Pulsar 180 is BSIV-compliant. Its 178.6cc DTS-i engine outputs a max. power of 17.02 BHP and a peak torque of 14.22 Nm. The engine continues to come mated to a 5-speed Manual Transmission. Expect the bike to offer up to 45 KMPL out on the highways. 40 KMPL should be easily achievable in city riding. The Pulsar 180 has a true top speed of roughly 126 KMPH. 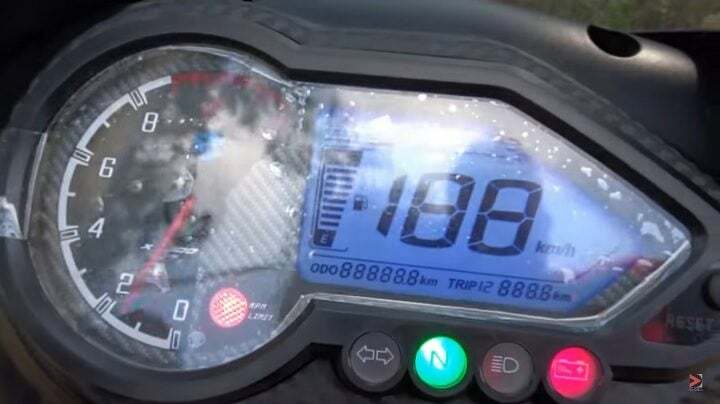 However, thanks to speedo error, the bike’s instrument console can show speeds of up to 140 KMPH. Still, 126 KMPH is a respectable top speed for a bike in this class. There isn’t a big change in the styling. While the basic design remains the same, there are some new additions. For starters, the bike now gets a rear disc brake. Also, the bike now gets a monotone paint scheme. The UG5 had a dual tone paint job. It also gets slightly changed graphics. Also, it gets Automatic On Headlamps. Once astride, you should be quick to notice that the orange backlight of the speedo console has been replaced with a blue one. Coming back to the decals, these seem to come from the updated Pulsar 220. The rims too now get a new pinstriping. Another small change is a better-bolstered seat. The bike measures 2035 mm in length, 1115 mm in height and 765 mm in width. It gets a ground clearance of 165 mm and a wheelbase of 1345 mm. The bike weighs around 145 kgs. The Pulsar 180 comes only in STANDARD variant. Currently, there are no new competitors for this aging bike. It’s the biggest and only competitor is the Apache RTR 180. Since both the bikes were launched, they have been competing with each other. TVS gets the latest models in the lineup like RTR 160 4V, RTR 200 and RR310. However, the RTR 180 is still preferred by a lot of people. 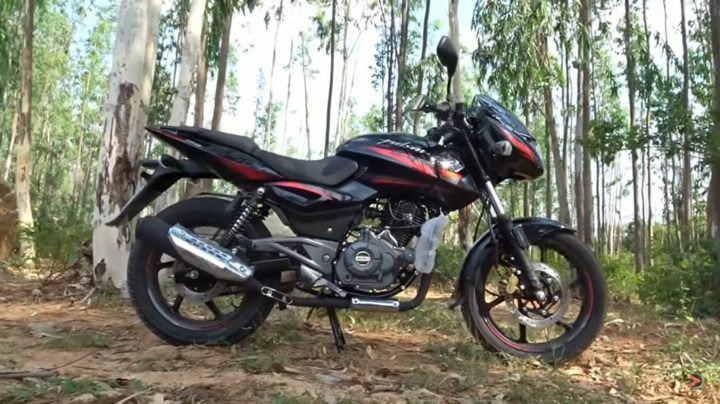 Stay tuned for latest news updates on the Bajaj Pulsar 180 new model Price, Specifications, Features, Mileage, Top Speed and other news updates.